When you think about the reasons why Greece, and particularly Athens, have been in the press over the last few years, Oscar Wilde’s well-known maxim may not be the first thing that springs to mind. Famously he said ‘There is only one thing in the world worse than being talked about, and that is not being talked about’ and I am beginning to think that he was probably right. Admittedly, in the last few years Athens has been in the international spotlight mainly for all the wrong reasons. Everyone knows about the economic meltdown, occasional civil unrest and the refugee crisis. All are still there to some degree or other, and it is hard to see how they will totally disappear anytime soon. 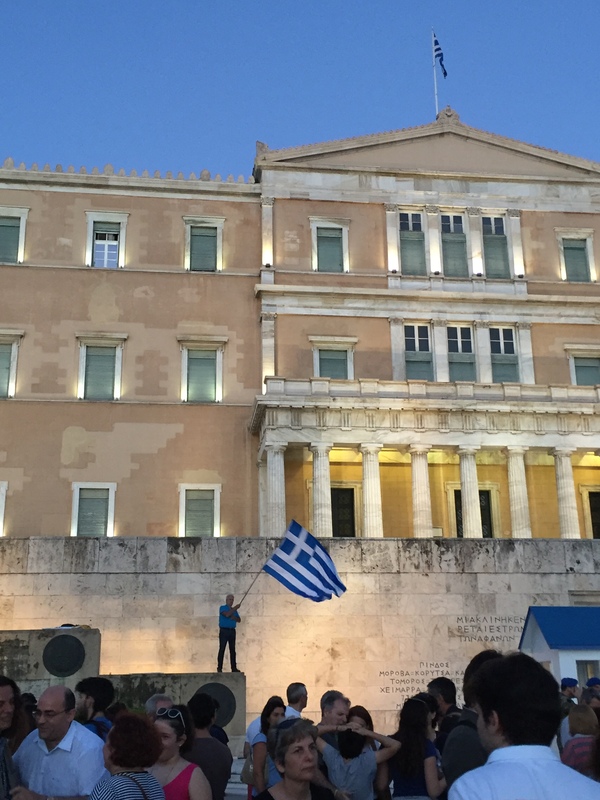 Times have been, and still are, incredibly tough for most Greeks. 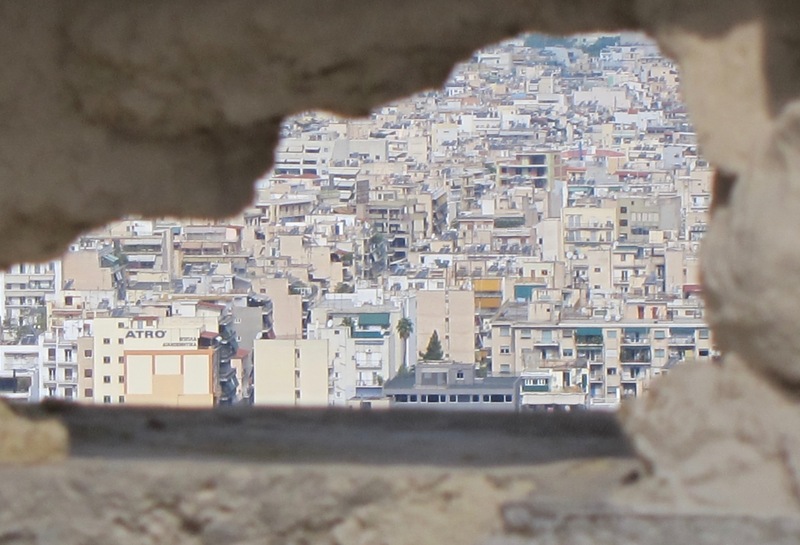 But for whatever reason, the eyes of the world have been turned on Athens, and it seems that familiarity has bred respect rather than contempt. The rest of the world has just twigged something that most of us Atheno-philes have always known, that Athens is a very special place. 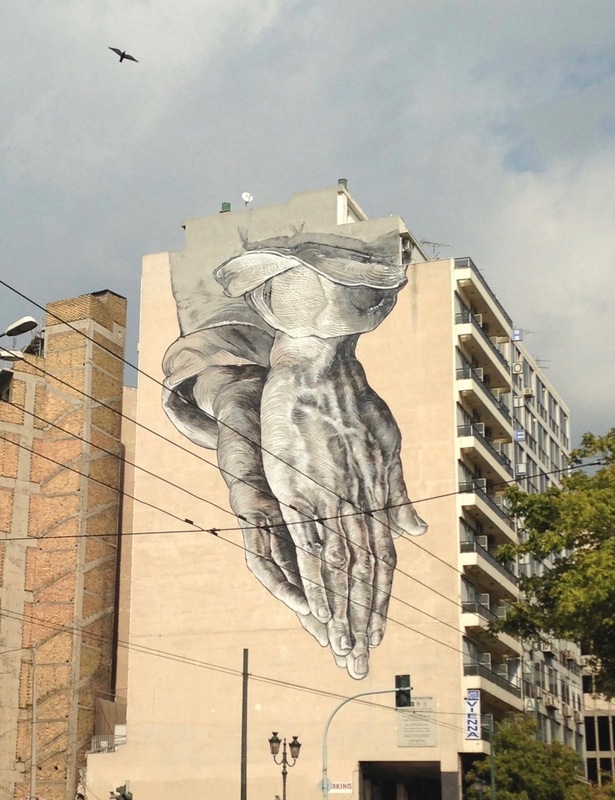 Google ‘Athens’ these days, and instead of being about about a city in deep trouble, we are more likely to find articles about ‘the new Berlin’, a ‘capital of culture’, or a ‘mecca for street art’ and, something that I can vouch for, a foodie destination. The glib analysis might be ‘Crisis? What crisis?’ But that belies and belittles something really remarkable that has been going on since 2010. In a country that has been crippled with desperate unemployment rates (an average figure of 23% and one of 45% for the under 24s) there has been a movement to self-employment and a burgeoning of new, small businesses, most of which are food-based. I would be lying if I said that all these were total success stories; the really sad thing is seeing a little café or eatery start up, with hope and enthusiasm, only to see it fall by the wayside some months later. But a good many are making it and, in certain parts, Athens is definitely buzzing. 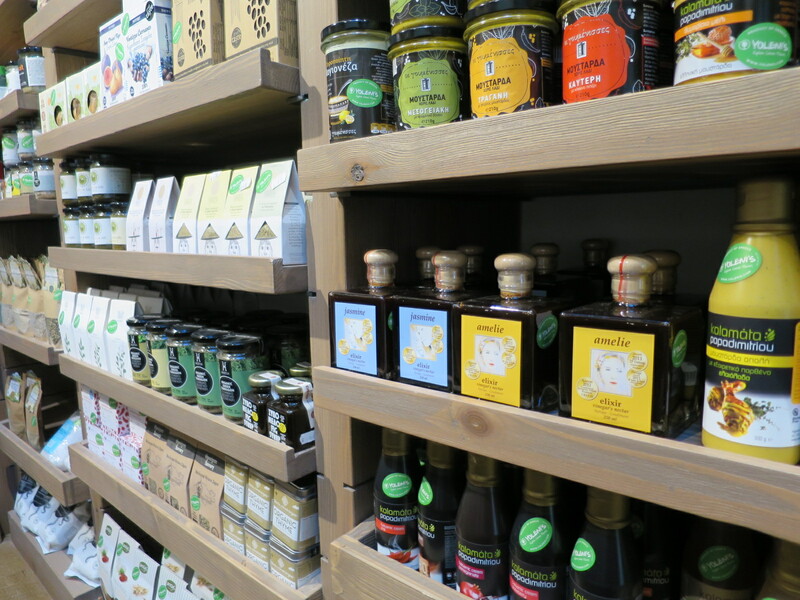 What is truly remarkable, is how traditional Greek foods and ingredients are being given a re-vamp and a totally new lease of life. 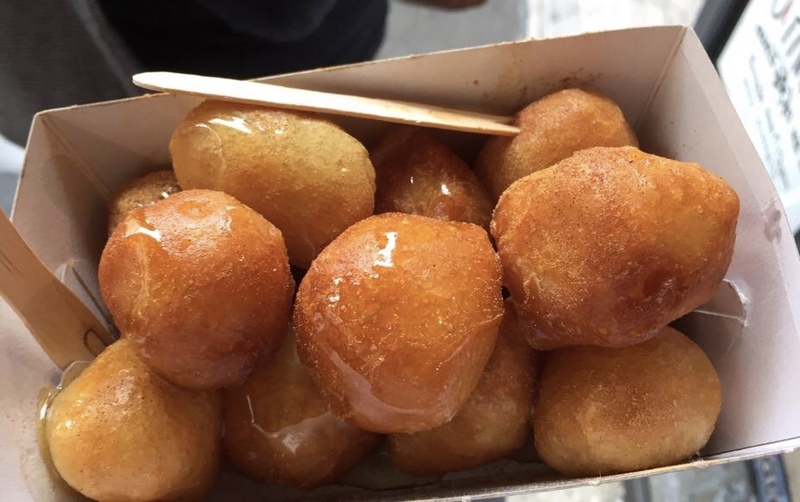 Loukoumádes, the traditional Greek donuts, have been around forever and a day, but at ‘Lukumades’, near Ag.Irínis Square, the whole concept has been given a makeover.Without sacrificing anything from the usual recipe, or dressing these fabulous golden, sticky balls as anything that they are not, a culinary storm has been created. 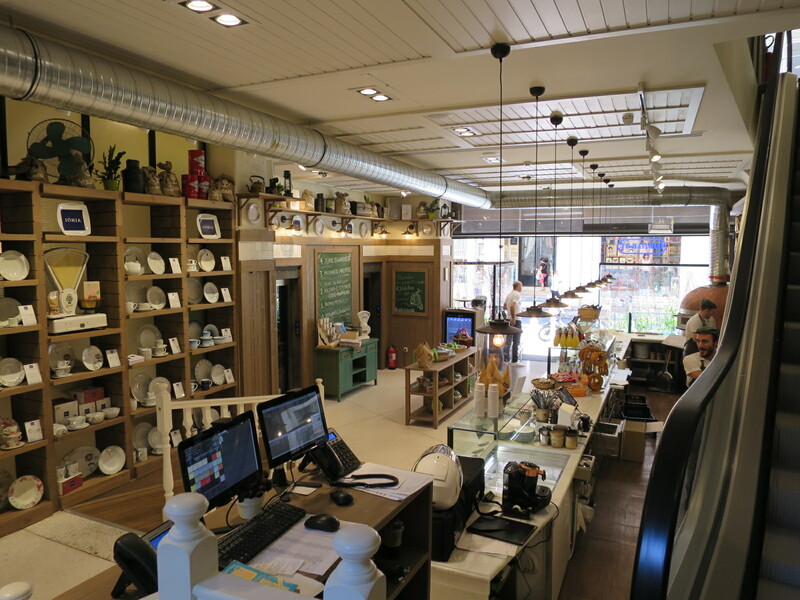 The loukoumádes are exceptional, the style of the shop, a mixture of contemporary with a wink at retro, is perfectly pitched and the queues are round the block ! We hadn’t been in town since last autumn and all through the spring I had been hearing endlessly about a new super-deli, Yoleni’s that had opened up. So back in Athens a few weeks ago, it was one place I had to visit. 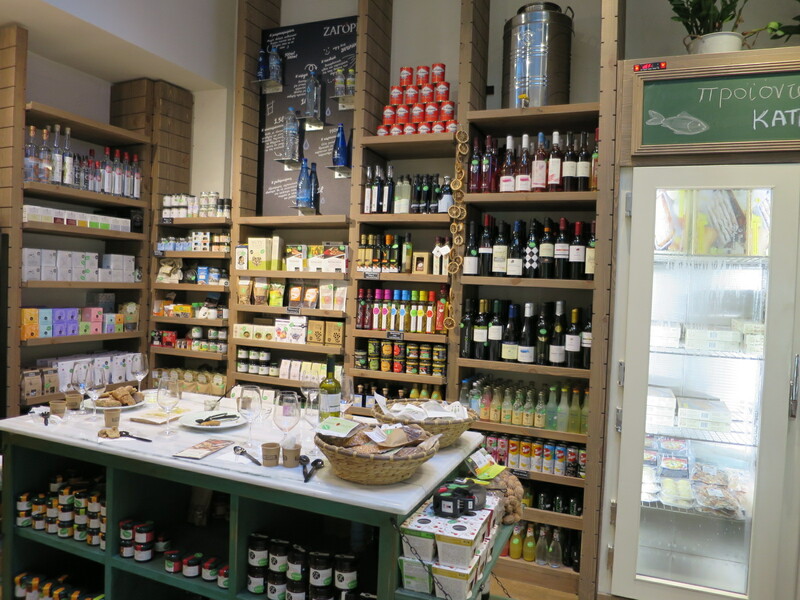 I admit, I was containing my expectations – I am a massive fan of ‘Pantopoleíon’, on Sofokléous Street, a veritable Aladdin’s cave of all good things Greek. I was a bit worried that the swanky Kolonáki location Yoleni’s had chosen would mean the shop might have compromised on its Greekness, however, I was not to be disappointed. The first thing that greets you at Yoleni’s is a clay oven and a couple of bakers rolling out the pastry for traditional Greek pies, ‘pités’. Of course, you can find tirópites and spanankópites all over the city but at Yoleni’s they are baked to order and the choice of filling is more or less endless. Of course they don’t stop at making just pies, bread is baked throughout the day. 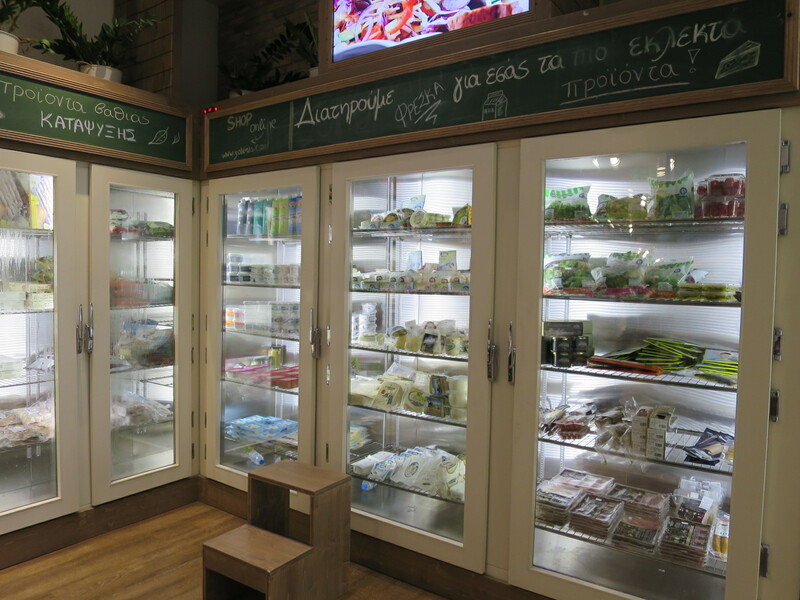 With an eye to the health benefits of Greek produce and the mediterranean diet, they also serve Greek yoghourt and fresh juices and smoothies too. And where better to enjoy all of these, than at the delightful garden café at the rear. The shop is spread over four floors – on one there’s a butchers counter and grill bar. You choose your cut of meat (Greek of course) and have it grilled for you. On another, there is an educational zone for children and on the next is a cookery school for adults and a very cool bar. Well, let me qualify that, this is a bar with a difference. Sitting on one of the high stools and soothed by the subdued lighting, don’t expect to order a cocktail – this is an olive oil bar. Taken in hand by the delightful Maria, she explains about the concept of the oil bar. 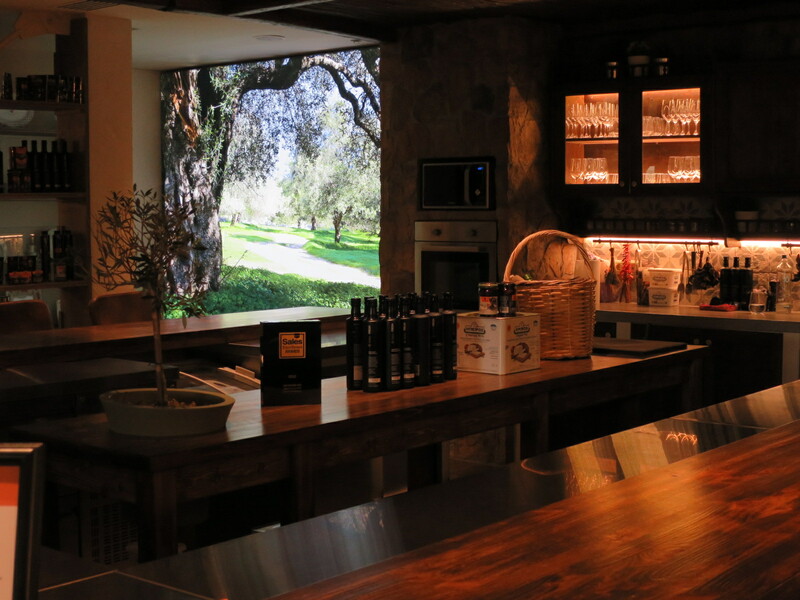 Here, they want to showcase through tasting events, the different types of olive oil, not only from all the regions of Greece but from the enormous variety of olive trees too. Softly-spoken, but exuding passion for her work, Maria talks about the exceptional quality of the olive oil that Greece produces and the amazing different flavours. We talk about food and food producers too and, of course, we touch on ‘the crisis’ and her conviction that top quality food production was part of the solution. In the basement deli she shows us some of her favourite products, a range of top-notch vinegars, made by the Vaimakis family in Epirus. The different flavoured vinegars are aged for 5 years in oak or chestnut barrels and, apart from the usual uses, are of such quality and mellowness that they can also be drunk as liqueurs. The range of products Yoleni’s stocks is vast, both fresh and those for the store cupboard. Fruit and vegetables, herbs and pulses, jams and honey, they are all here; everything from a premium tomato juice, ‘perfect for a Bloody Mary,’ Maria says, to cheeses from every corner of the country. 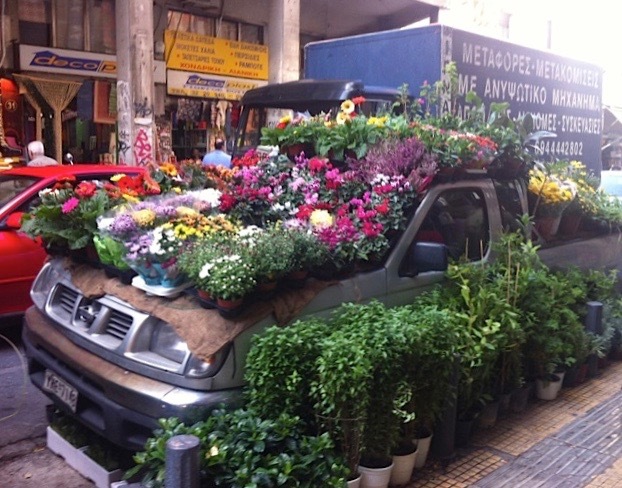 All produced in Greece. Needless to say, I am enthralled by the dedication to quality and the simple love of doing something right – another example of meráki obviously – meraki that untranslatable devotion to doing something ‘just right’. Yoleni’s exudes meráki at every turn, from their own dedication to product, style and hospitality, to the meráki shown by all these amazing producers. It takes a special tenacity and passion to focus on every detail required to produce perfection at the best of times, let alone in times of adversity, and Yoleni’s is providing an excellent showcase for some of it. I may be a bit of an optimist but perhaps meráki just might be Greece’s saving grace.